The company denies the manipulation, despite the fact anyone can do a search and see the bias for themselves. YouTube tweaks algorithms to change the results of searches. Why? Apparently to favor the left-leaning mainstream media and push down conservative media. As I write, a search for “State of the Union 2019” returns a surprisingly large number of results from CNN. The first result isn’t even the speech. Other top results include large, corporate news sources that lean to the left, like The Guardian and PBS. Where does the first right-leaning site appear? Nineteenth. That’s a Fox Business video. Mark Dice is a popular conservative commentator. He created a video called “Michelle Obama Trashes Hillary Clinton.” It has received 1.7 million views. But when you search YouTube for the exact name of his video, it doesn’t appear first. It appears second. A video titled “Barack and the Boss: Clinton’s Attack Ad,” by the left-leaning Slate magazine, shows up first. Maybe it had more views? No. It only has 1,200 views. Someone, in YouTube’s system, liberal with 1,200 views tops conservative with 1.7 million. Do a search on any controversial political topic and you see the manipulation. Left-leaning mainstream media videos show up at the top of results, while conservative results are pushed way down. A search on “Second Amendment” reveals a video posted a year ago from the History channel with 119,000 views as the first result. Sure enough, a video from CNN is right there at the top, the third result. 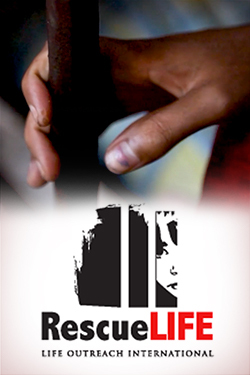 Over 151,000 have viewed the five-year-old video. Videos about the Second Amendment by the NRA’s Colion Noir, a well-known black man who defends the Second Amendment, are nowhere to be seen. In contrast, videos about the Second Amendment by the NRA’s Colion Noir, a well-known black man who defends the Second Amendment, are nowhere to be seen. Some of his videos, like this one, have got millions of views. He has plenty of videos with the words Second Amendment in the title that have more views than those other two. 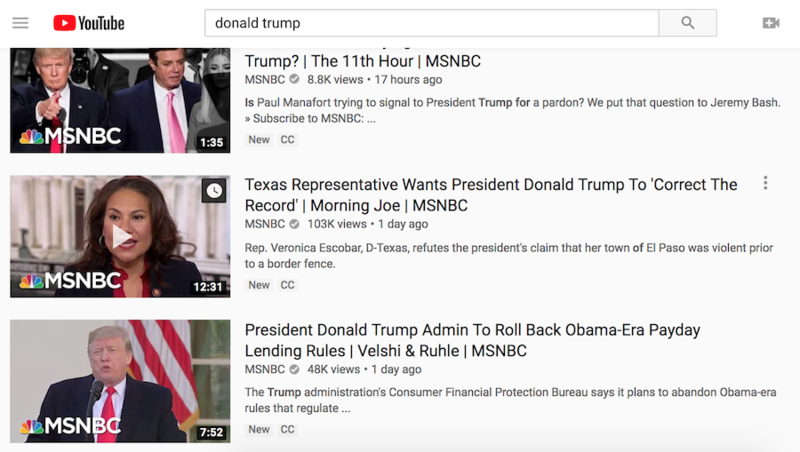 A search for “Donald Trump” on YouTube pulls up mostly results from the left-leaning media sites MSNBC and NBC. The first conservative result, Fox News, doesn’t show up until almost the very bottom of the first page of results. None of this comes as a surprise. Breitbart discovered last month that YouTube manipulates search results for gun control activist David Hogg, Rep. Maxine Waters (D-Cal.) and abortion. An anonymous employee told the news site, “We have tons of white- and blacklists that humans manually curate.” A search on YouTube for “abortion” no longer pulls up abortion procedures in the top results. The search results are now geared to favorable videos about abortion. As for the lefties Hogg and Waters, YouTube revised search results to remove some of the negative videos about them. YouTube has also started censoring videos that show up as “recommended.” The company said in a blog post last month that it will begin to reduce recommending “borderline content and content that could misinform users in harmful ways — such as videos promoting a phony miracle cure for a serious illness, claiming the earth is flat, or making blatantly false claims about historic events like 9/11.” YouTube banned conspiracy theorist Alex Jones last year, as did several other big tech platforms. Among other things, Jones claimed the parents of the Sandy Hook victims made up the stories. He’s now being sued by ten families. YouTube claims that algorithm shift will apply to less than 1 percent of the content on YouTube. What Qualifies as Conspiracy Videos? But who decides what is a conspiracy? And should YouTube downgrade them all? There are conspiracies surrounding the assassination of JFK. But the majority of Americans do not believe Lee Harvey Oswald killed Kennedy. Should these theories be cut out of recommended videos? Google, which bought YouTube in 2006, denies manipulating the results. The left labels those critical of accepting a transgender lifestyle as fringe or extremist. Will YouTube start excluding or pushing down their videos? What about cures for cancer and other life-threatening conditions? The Right to Try movement advocates allowing alternative treatments not approved by the FDA. Is YouTube going to hide videos about these treatments, some which have saved multiple lives? Just doing a basic search on YouTube suggests they do manipulate the search results. Not to mention what the leaked information revealed. YouTube is the second largest search engine in the world. It needs to use that power responsibly, not to squelch conservative views and promote left-leaning ones instead. Elizabeth Warren’s Plan to Take Over Facebook and Twitter Would be a Disaster. Here’s a Better Option.